Since the first stirrings of human civilization, the Moon has played an important role in the myths and practices of cultures around the world. For eons, it served as both a source of light and a way of measuring time. Like its counterpart, the Sun, it has been linked with many gods and goddesses around the globe. In both myth and magic, this celestial body has been universally associated with many central concerns of human existence, such as love, passion, fertility, mystery, death and rebirth, and the afterlife. Today, the Moon is still a vital presence in Wicca and other forms of modern Witchcraft and Paganism. 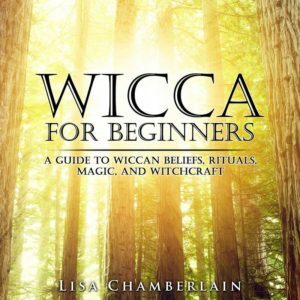 Traditionally, Wiccan covens meet for Full Moon rituals to honor the Goddess on the Esbats , a practice adopted by solitaries as well. Scientists know that the Earth has its own energy, which is independent from the energy it receives from the Sun. The Moon also emits an energy that is subtle, yet distinctive. Unlike the Sun’s masculine, projective energy, lunar energy is feminine and receptive. This is the energy of the Goddess. This power has often been described as magnetic, which makes sense to anyone who has literally felt “pulled” in some way by the Moon. Some particularly sensitive people actually feel a physical tug in their bodies at the Full or New Moon, while others just notice a heightened sense of awareness to everything in their environment. Lunar energy is tailor-made for interacting with our the energy of own intuition, which is also feminine, receptive, and magnetic in nature. Also known as our sixth sense, this is the most crucial mode of perception when it comes to magic. So when we consciously connect with the energy of the Moon, we are opening up a pathway, or channel, for that energy to help manifest desired changes in our lives. And when we do this in conscious harmony with the energetic rhythms of the Moon’s cycle, we can truly amplify the power of our magical work. This is because each phase of the lunar cycle offers particular energies that can be harnessed for specific magical goals. The relationship between magic and the Moon can be broadly described as a cycle of waxing and waning. As the Moon grows, we work magic for increase; as it wanes, we work magic for decrease. So when you’re seeking to bring something into your life, you work with the waxing Moon, and when you want to banish or release some unwanted element of your life, you work during the waning phase. The transitional point between these two opposites is the Full Moon, a time of “harvest” as we celebrate what we have manifested over the first half of the cycle. We then essentially “clean up” afterward, identifying and releasing what is no longer needed throughout the second half of the cycle. At the New Moon, we set new intentions for the next round of manifestation, and on and on it goes. The rhythm of this cycle can be visualized as the rhythm of the tides, which the Moon, of course, is causing. New Moon: This is the very beginning of the lunar cycle, and a good time for dreaming of what you wish to create in your life. Traditionally, magic aimed at initiating new projects and ventures is favored at this time, but anything involving attracting or increasing what you desire is appropriate. Waxing Moon: This phase is the ideal time for taking action in the direction of our goals—actually beginning, on the physical plane, the projects we’ve intended for on the spiritual plane. The energy here is one of action and projecting our intentions outward into the Universe. Magical work may be related to gaining or strengthening partnerships with others (whether they be friends, romantic interests, or business associates) and improving physical health and general well-being. Full Moon: This is the most powerful phase of the entire lunar cycle. 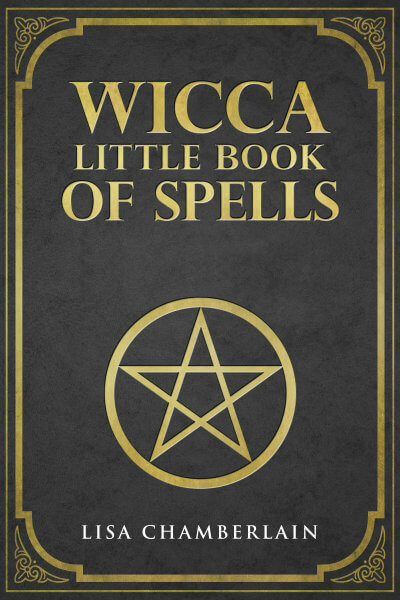 Many Witches find that the day of the Full Moon is the most magically potent day of the month, and may save spellwork related to particularly important goals for this occasion. Any and all magical purposes are favored during a Full Moon ritual. Waning Moon: This is the time to release the energy of outward action, and align with the energy of inward reflection. Eliminating negative energies and experiences is the predominant magical goal now, so spellwork aimed at overcoming obstacles, resolving conflicts, and removing causes of illness is appropriate. Dark Moon: In the days just before the New Moon, many Witches refrain from actively working magic, choosing instead to refresh their energy for the next waxing phase. However, many others find the Dark Moon to be the best time for magic related to closure, or bringing things full circle. There is a destructive potential to the energy now that can be harnessed for releasing any karmic patterns that crop up again and again in your life, such as those related to lack, abandonment, betrayal, etc. Not many people who are new to magic have been in the habit of paying daily attention to the rhythms of the Moon’s orbit around the Earth. If this includes you, consider adopting a practice of connecting with the Moon each day, whether through a formal ritual or just a brief, silent greeting. Find out where the Moon is in its cycle and acknowledge this as part of your daily practice—you can find out the Full Moon schedule online. This will help you attune to the subtle differences in lunar energy from phase to phase. From New to Full, to Dark and back to New again, the never-ending cycle of the Moon presents many opportunities to tune into the energies of the natural world and enhance your spellwork.